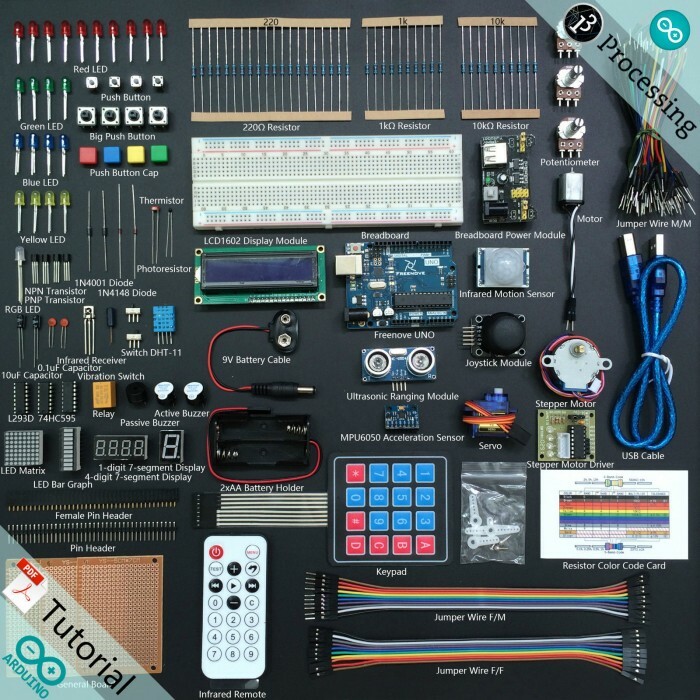 This is a highly valued Arduino kit, which contains 210+ commonly used components and modules. The kit also contains a 260-page detailed and comprehensive tutorial manual (Supplied on a USB stick - PDF), which are very suitable for beginners. 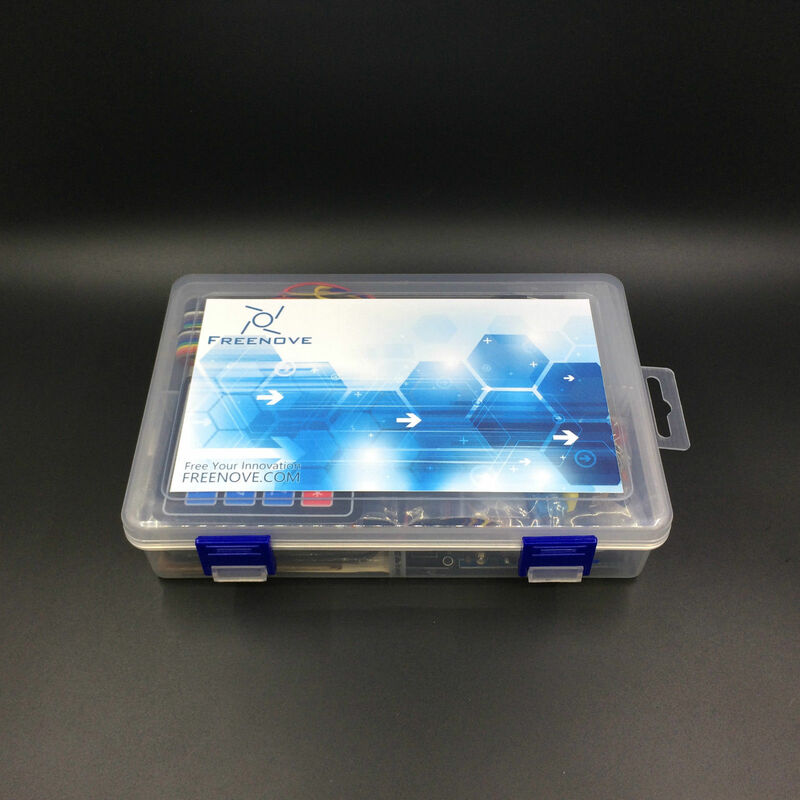 The kit also comes packed in a convenient compact plastic container box and includes the full tutorials on a USB Stick PDF. This is the IDEAL Programming and Project Building Starter Kit. 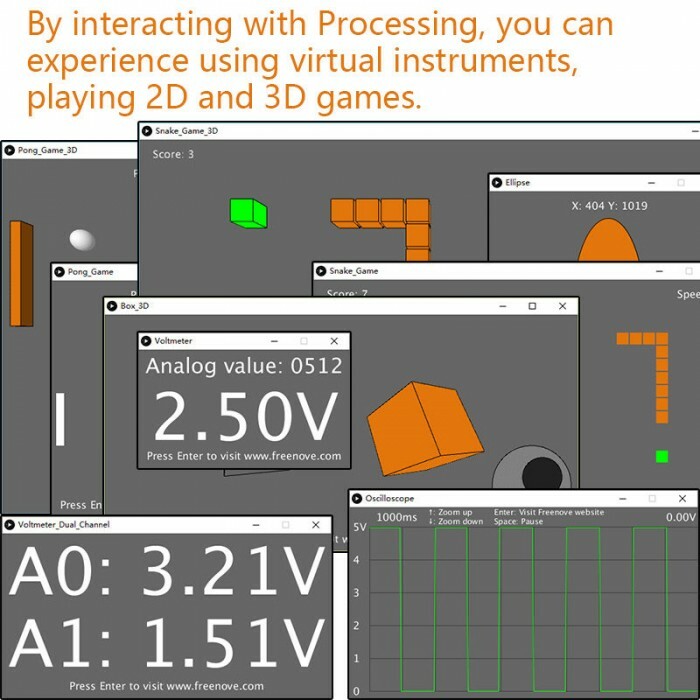 You will be able to build all 51 interesting projects, including projects interacting with other Processors. 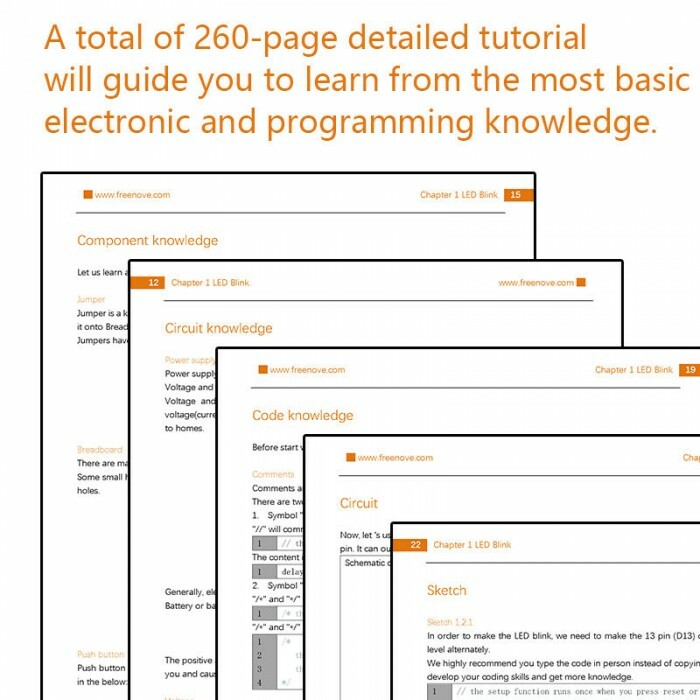 260 pages detailed tutorials(PDF), starting with the most basic electronic and programming knowledge. 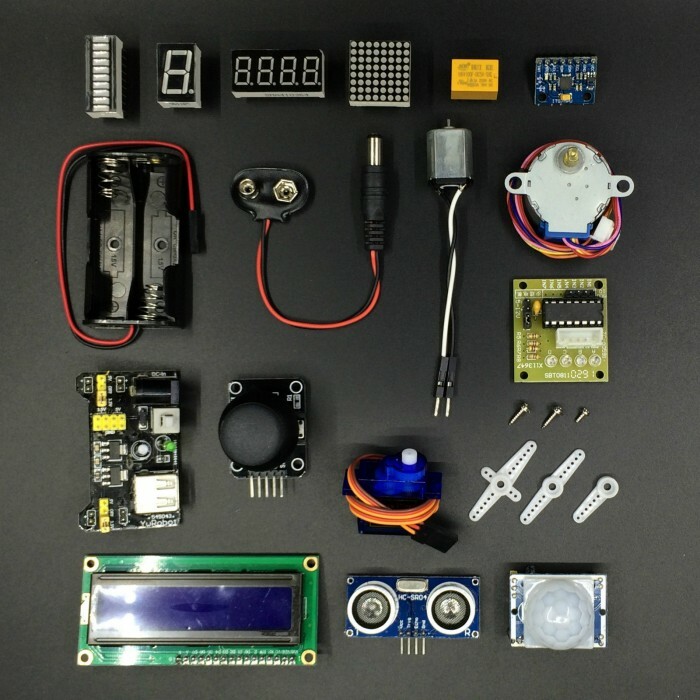 51 interesting projects, each project has detailed circuit connection diagram and code interpretation. 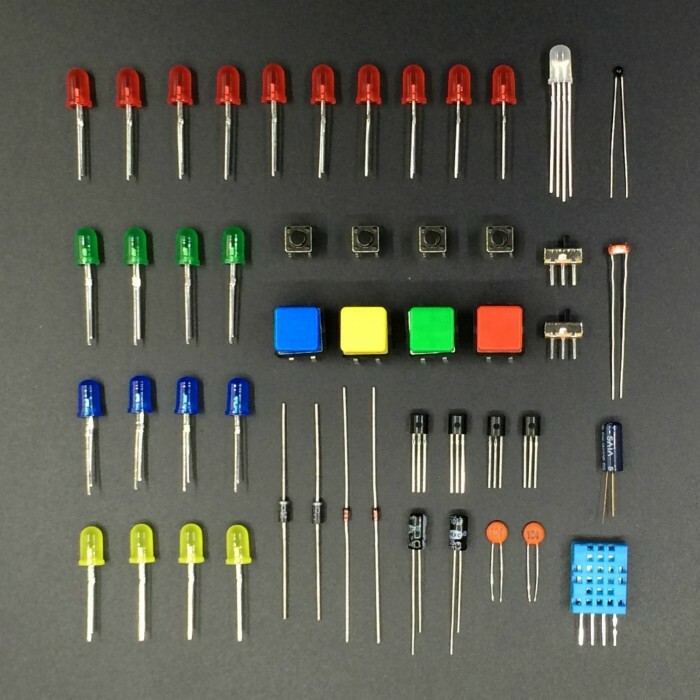 60 kinds and 210+ commonly used components and modules, no soldering is required (except for the specific soldering board projects). 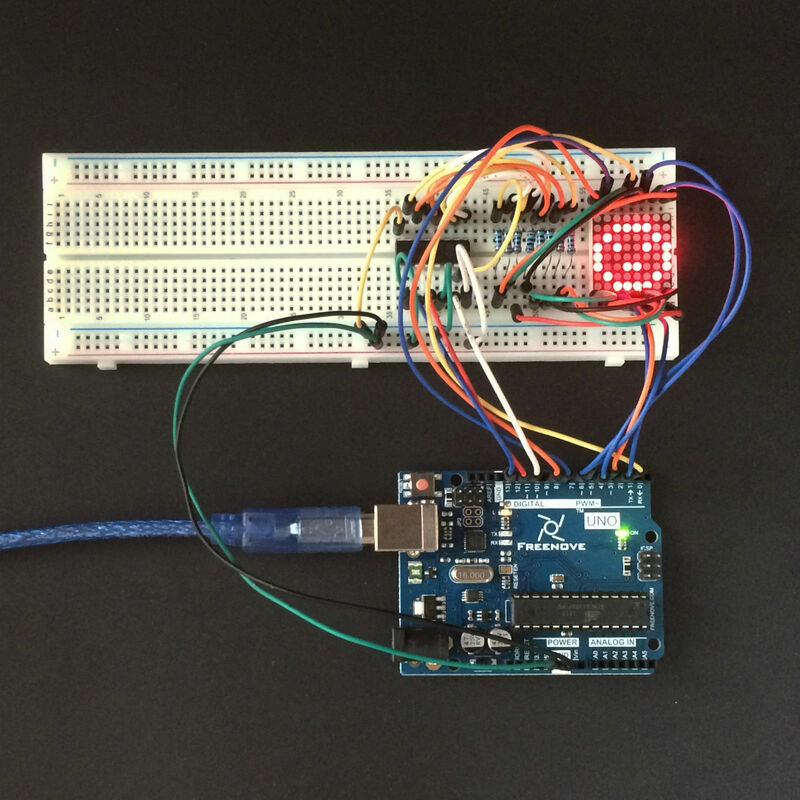 These components and modules can be used to complete all the projects in the tutorials. 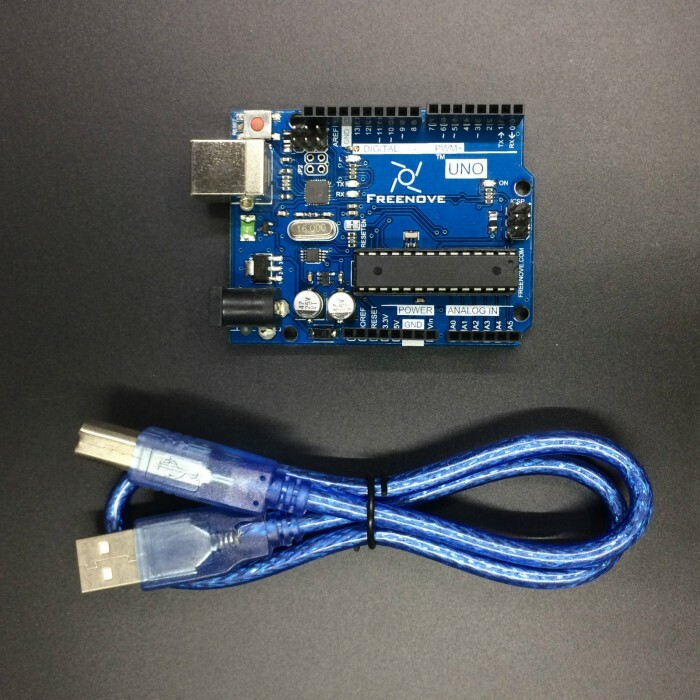 This kit contains Freenove UNO board, which is fully compatible with the official Arduino UNO R3 board. The Freenove UNO board is exactly the same as the official Arduino board, only logo is different. 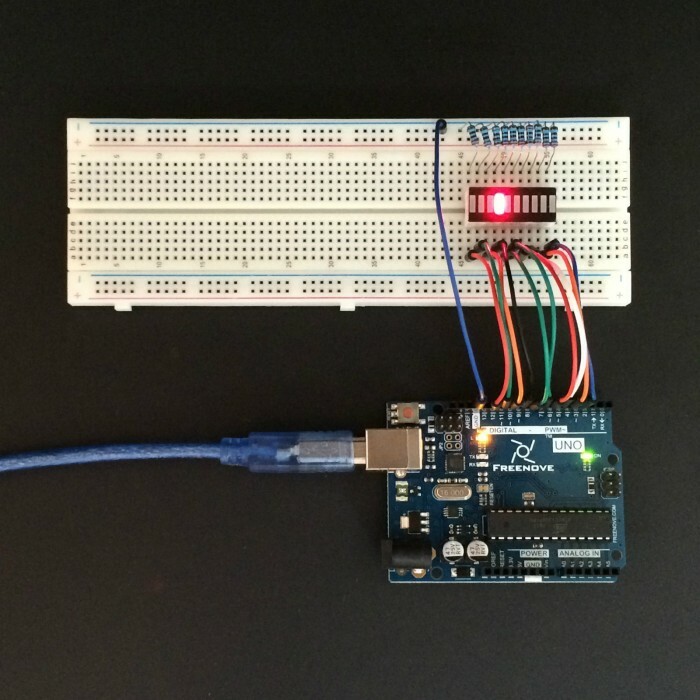 Make Arduino into virtual instruments(oscilloscope, voltmeter), to help you explore electronics. Use Arduino to play video games(pong, snake), include 2D and 3D versions. 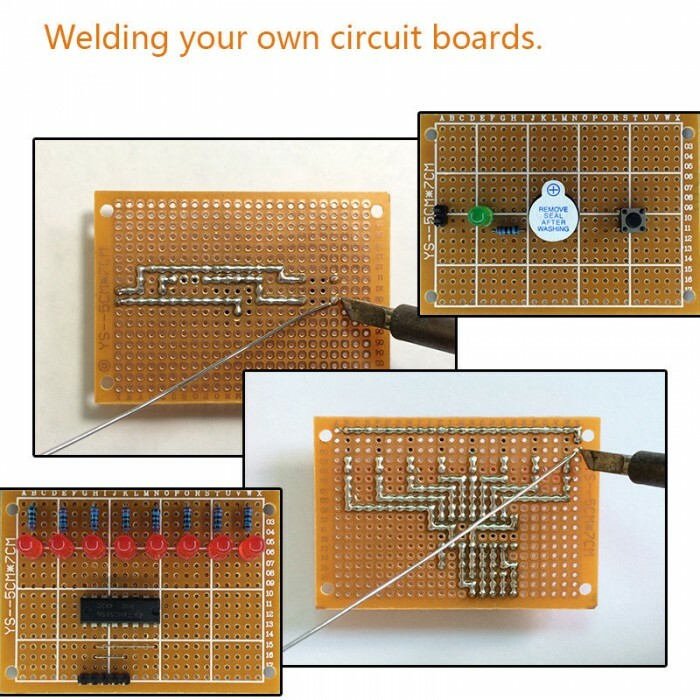 Use universal board to weld your own board, which will be more stable than breadboard. Improve your welding skills and make the first step to design professional PCB board. We are always ready to answer any questions you may have, please feel free to contact us.